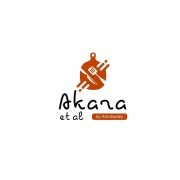 At Ashabiadey's kitchen, we work with your budget and give your quests positive things to talk about even years after. Lagos and abuja is our base, you should try us out. Amala movers, Ofada at ur event and all Nigerian meals prepared with lot of love and served looking gorgeous! Our continental meals are also first class! Got an event? Get in touch with Ashabiadey's Kitchen.